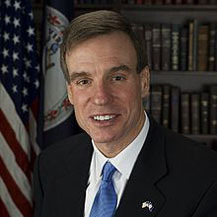 U.S. Sen. Mark Warner (D-VA), along with Senators Thom Tillis (R-NC), Barbara Mikulski (D-MD), and Dr. Bill Cassidy (R-LA), introduced the bipartisan Save our Small and Seasonal Businesses Act of 2015 to strengthen the H-2B temporary non-agricultural visa program to help seasonal employers better prepare for fluctuations in demand during peak seasons. The H-2B program is not only vital to helping small and seasonal employers across the Commonwealth sustain their businesses, but also supports Virginia jobs dependent upon seasonal business industries. This bipartisan legislation would streamline the program to eliminate ambiguities and establish clear parameters for employers hiring H-2B workers, require increased coordination between federal agencies, and bring transparency to the program operations for greater efficiency while ensuring Virginia workers are not displaced. “This legislation makes modest and measured reforms to the H-2B visa program, which is of such vital importance to our seafood communities across the Chesapeake Bay. Improving the H-2B program, while still ensuring that Americans get first crack at ‎jobs, not only keeps Virginia’s seafood companies in business, it helps boost the local economies on the Bay and protects American workers – from watermen to crab pickers to truck drivers – who rely on a thriving Virginia seafood industry,” Sen. Warner said. The introduction of this bipartisan effort comes after employers have faced several road blocks navigating the H-2B process this year, including a suspension of the program that left many business owners shut out of the process. In addition to the bill, earlier this week a group of 26 Senators sent a bipartisan letter to the Department of Labor expressing concern and frustration over the Department’s H-2B labor certification process. About the H-2B Program: The H-2B Temporary Non-Agricultural Visa Program allows U.S. employers to hire immigrant workers during peak seasons to supplement the existing American workforce. Employers are required to declare that there were not enough U.S. workers who were available to do the temporary work. The number of H-2B visas is typically capped at 66,000 per year by the Department of Homeland Security.